Arcadia method at a glance! 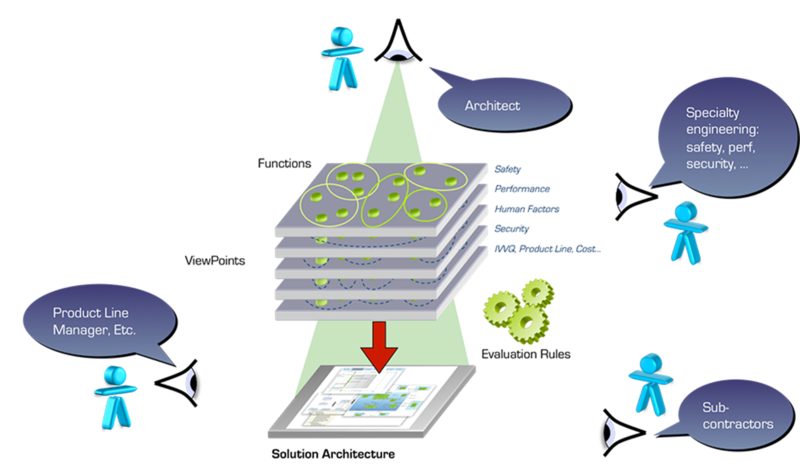 Arcadia is a system engineering method based on the use of models, with a focus on the collaborative definition, evaluation and exploitation of its architecture. This book describes the fundamentals of the method and its contribution to engineering issues such as requirements management, product line, system supervision, and integration, verification and validation (IVV). It provides a reference for the modeling language defined by Arcadia. Adaptation of Arcadia to Dedicated Domains, Contexts, Etc. Modern systems are subject to increasingly higher constraints regarding expected behavior and services, safety, security, performance, environment, human factors, etc. 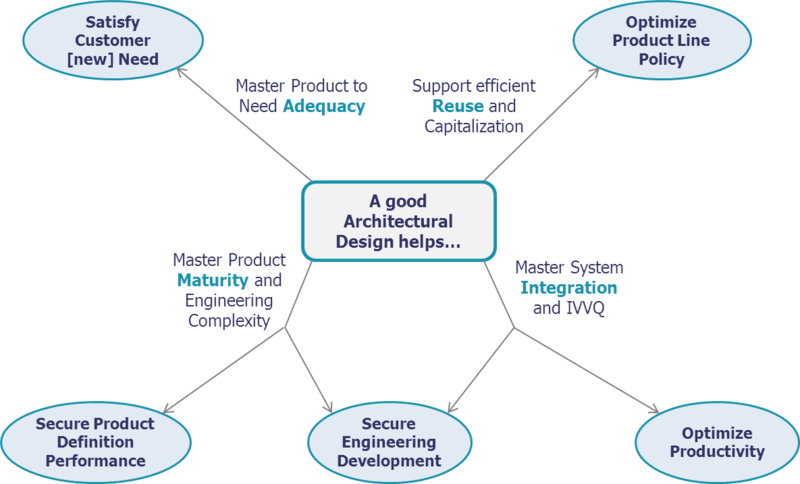 All these constraints are under the responsibility of different stakeholders, which need to be reconciled during the solution architectural design and development process. Guide designers and developers to respect the product definition drivers. 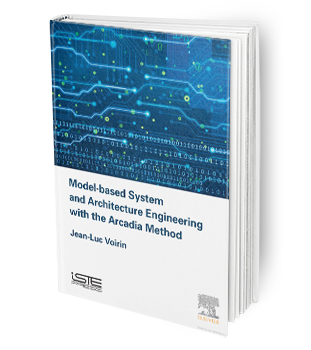 Arcadia is a model-based engineering method for systems, hardware and software architectural design. 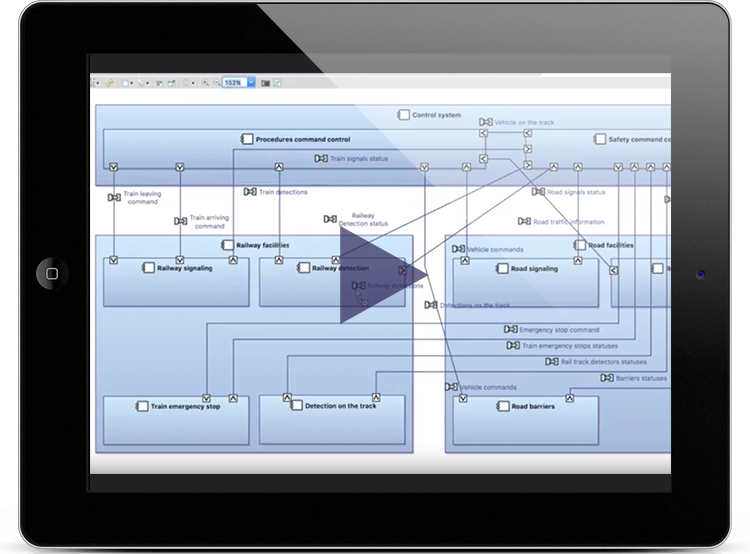 It has been developed by Thales between 2005 and 2010 through an iterative process involving operational architects from all the Thales business domains. Arcadia promotes a viewpoint-driven approach (as described in ISO/IEC 42010) and emphasizes a clear distinction between need and solution. A Capella model is built for each Arcadia engineering phase. All of these models are articulated through model transformation, and related by justification links; they are processed as a whole for impact analysis, notably in case of required evolutions. 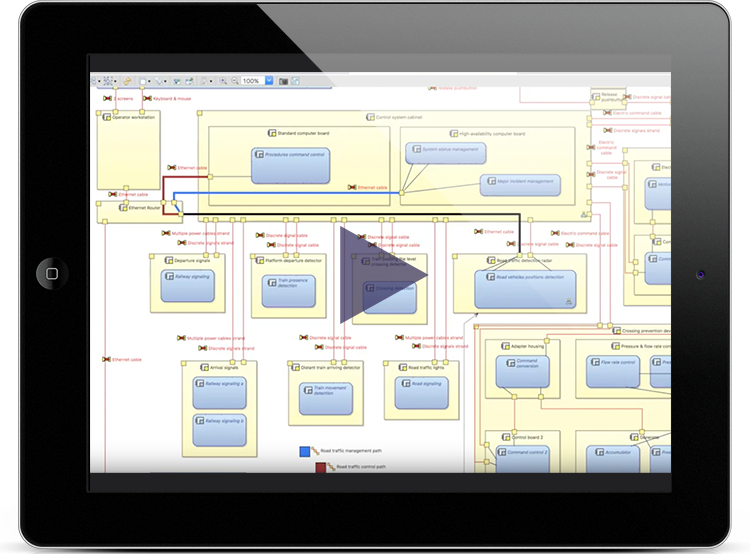 Collaboration with customer and subsystems engineering relies on co-engineered models (e.g. 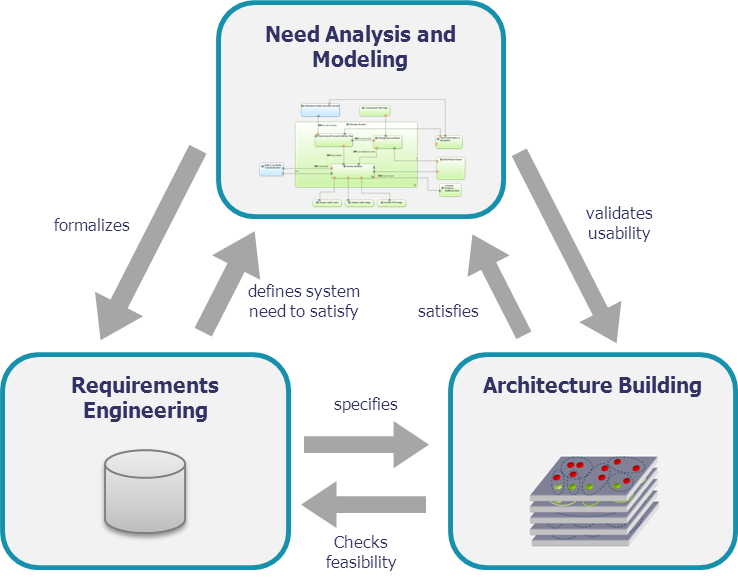 physical architecture), automatic initialization of need model for sub-systems, and impact analysis means between requirements and models of different engineering levels. Elaboration of product line variabilities and configurations is optimized and assisted based on operational market segmentation, commercial portfolio contents and architecture constraints/adaptations to product policy, all described in the model. A domain-specific language (DSL) was preferred in order to ease appropriation by all stakeholders, usually not familiar with general-purpose, generic languages such as UML or SysML. Abstraction levels are in the DNA of Arcadia. Capella advanced mechanisms have been developed to mask and confine complexity, deal with model maintenance, large-scale modelling, model evolution and reuse. Arcadia is currently applied in various domains and organizations, in many countries, on very large or small projects, by thousands of users. A continuous challenging, improvement and adaptation of both the method and its supporting workbench has favored a very fast dissemination. Next paragraphs give a first description of major arcadia perspectives, for a given engineering level (system, sub-system, software or hardware part…). The first perspective focuses on analyzing the customer needs and goals, expected missions and activities, far beyond system requirements. This analysis aims at ensuring adequate system definition with regard to its real operational use and IVVQ conditions. 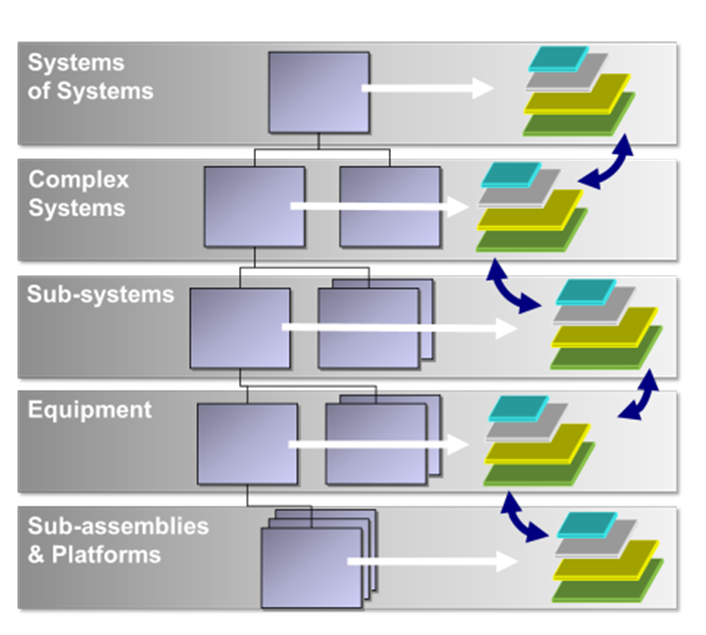 Outputs of this engineering phase mainly consist of an “operational architecture” which describes and structures the need in terms of actors/users, their operational capabilities and activities (including operational use scenarios with dimensioning parameters, and operational constraints such as safety, security, lifecycle, etc.). Watch the video below, illustrating this architecture level with a commented example: the level-crossing traffic control. The second perspective focuses on the system itself, in order to define how it can satisfy the former operational need, along with its expected behavior and qualities. The following elements are created during this step: Functions (or services) to be supported and related exchanges, non-functional constraints (safety, security, etc. ); performance allocated to system boundary; role sharing and interactions between system and operators; scenarios of usage, etc. The main goal at this stage is to check the feasibility of customer requirements (cost, schedule, technology readiness, etc.) and if necessary, to provide means to renegotiate their content. The functional need analysis can be completed by an initial system architectural design model in order to examine requirements against this architecture and evaluate their cost and consistency. 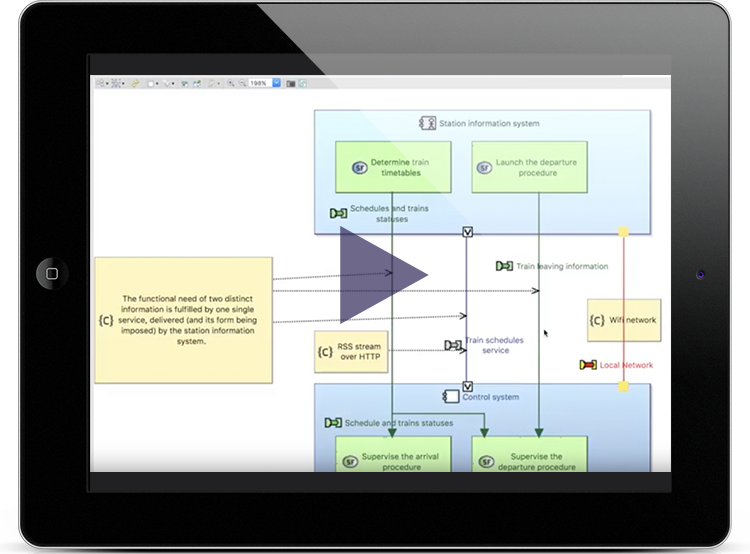 Outputs of this engineering phase mainly consist of system functional need descriptions (functions, functional chains, scenarios), interoperability and interaction with the users and external systems (functions, exchanges plus non-functional constraints), and system requirements. Note that these two phases, which constitute the first part of architecture building, "specify" the subsequent design, and therefore should be approved/validated with the Customer. The building process has to take into account architectural drivers and priorities, viewpoints and associated design rules, etc. For the component breakdown to be stable in further engineering phases, all major (non-functional) constraints (safety, security, performance, IVV, cost, non-technical, Etc.) are taken into account and compared to each other so as to find the best trade-off. 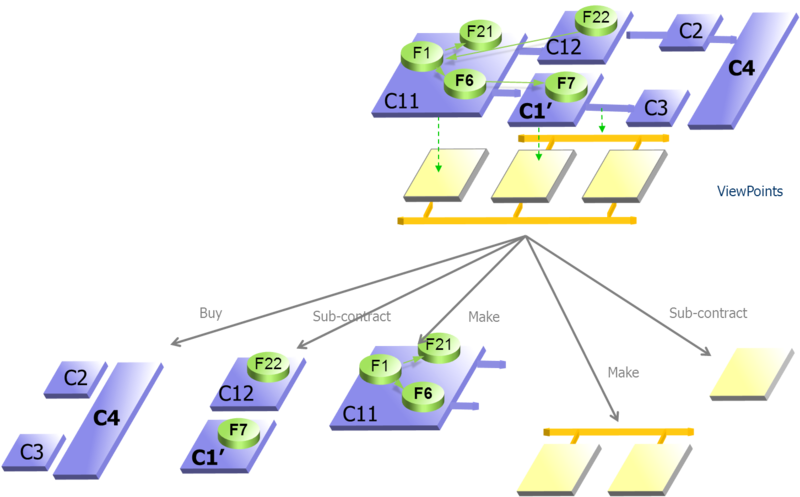 This method is described as "viewpoint-driven", where viewpoints formalize the way these constraints impact the system architecture. Outputs of this engineering phase consist of the selected logical architecture which is described by a functional description, components and justified interfaces definition, scenarios, modes and states, along with the formalization of all viewpoints and the way they are taken into account in the components design. 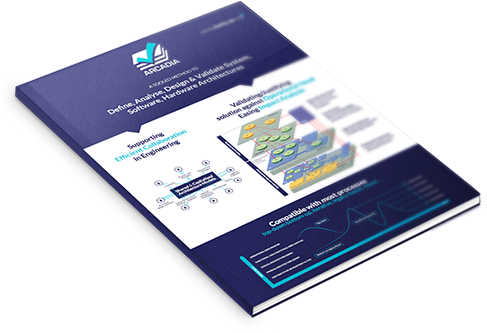 Since the architecture has to be validated against the need analysis, links with requirements and operational scenarios are also to be produced. The fourth perspective has the same intent as the logical architecture building, except that it defines the “final” architecture of the system at this level of engineering. Once this is done the model is considered ready to develop (by "lower" engineering levels). Therefore, it introduces further details and design decisions, rationalization, architectural patterns, new technical services and behavioral components, and makes the logical architecture vision evolve according to implementation, technical and technological constraints and choices. It notably introduces resource components that will embed former behavioral components. The same viewpoint-driven approach as for logical architecture building is used. Outputs of this engineering phase consist of the selected physical architecture which includes components to be produced, formalization of all viewpoints and the way they are taken into account in the components design. 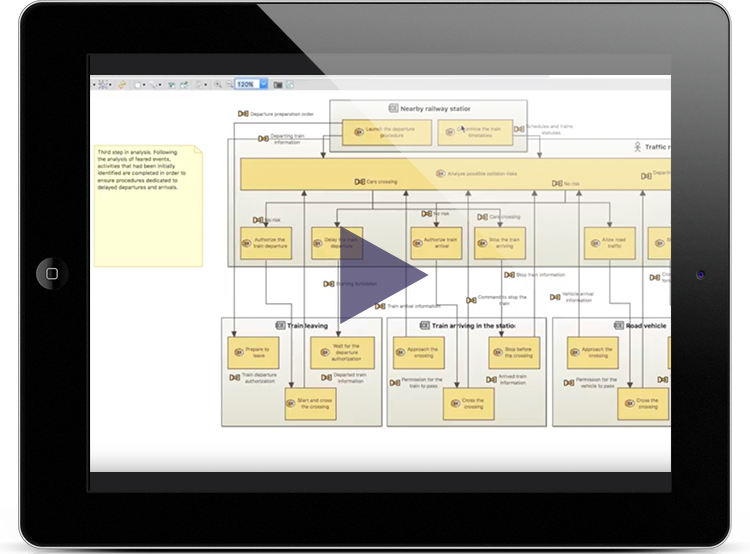 Links with requirements and operational scenarios are also produced. The fifth and last perspective is a contribution to an EPBS (End-Product Breakdown Structure), and models describing specification of each sub-system, hardware or software component; it takes benefits from the former architectural work, to formalize the component requirements definition and prepare a secured IVVQ. All previous hypotheses and imposed constraints associated to the system architecture and components are summarized and checked here. Outputs from this engineering phase are mainly new models describing component integration contracts, collecting all necessary expected properties for each component to be developed. 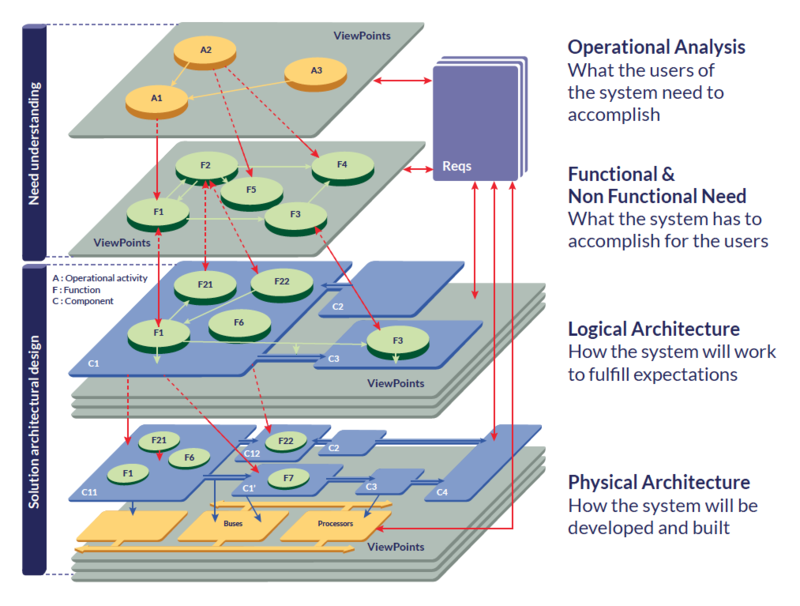 The physical architecture is the preferred place for co-engineering between systems, software, and hardware stakeholders. Arcadia can be applied in a recursive way at each level of system breakdown, so that a subsystem of the current system of interest becomes the system at the next level of interest, until single discipline subsystems or procurement items or COTS are identified. The physical architecture at a given level of interest defines the components to be developed at the level above, according to the corresponding component integration contract. Level "n" need analysis is restricted to each component scope and neighborhood, in order to define its IVVQ context while preserving Intellectual Property constraints. This is the reason why Arcadia can be applied according to several lifecycles and work sharing schemes. Great care has been taken in the method, the language and the Capella workbench to not impose one single engineering path (e.g. top-down) but to be adaptable to many lifecycles: Incremental, iterative, top-down, bottom-up, middle-out, Etc.. The method is inherently iterative.